Product prices and availability are accurate as of 2019-04-20 00:02:01 EDT and are subject to change. Any price and availability information displayed on http://www.amazon.com/ at the time of purchase will apply to the purchase of this product. 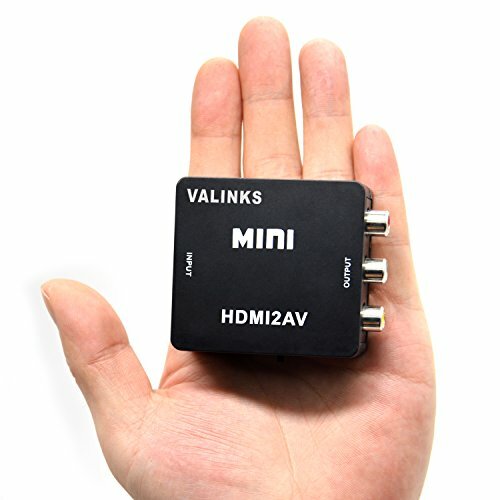 VAlinks Mini HDMI to AV signal converter can convert HDMI video signal or audio signal to AV (CVBS) composite video signal and the FL / FR stereo audio signals, while support DVI system sideline signals. 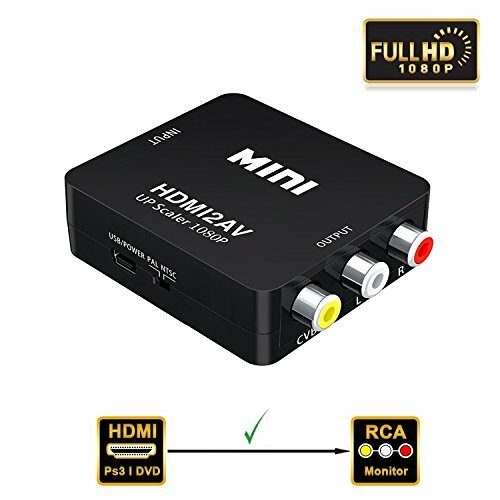 It can help users convert the high quality of the HDMI video signal into normal / old CVBS signal (standard definition 480i, 576i). 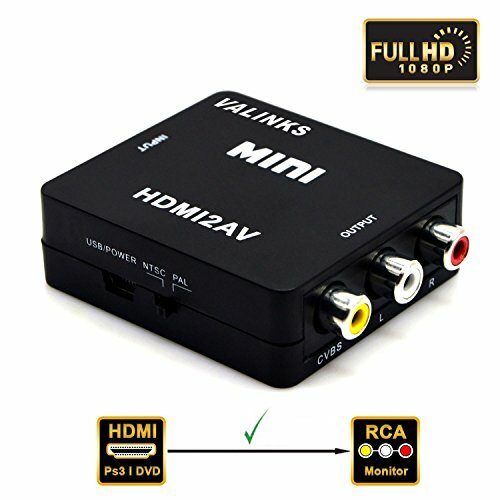 Compatible with PC Laptop Xbox Blue-Ray PS4 PS3 TV STB VHS VCR Comb Camera DVD Color Box, DVD recorders, etc. Support NTSC and PAL two TV format. 2. Output ports: 1xRCA (Yellow,White,Red). 4. Composite output: PAL / NTSC. 1. Personal or family: Connect high-definition player, DVD, set-top boxes, and PS3, XBOX360 Blu-ray machines and so on. 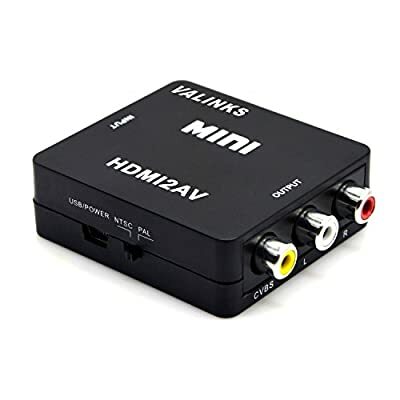 Can be watched by the common old TV AV interface after converted. 2. 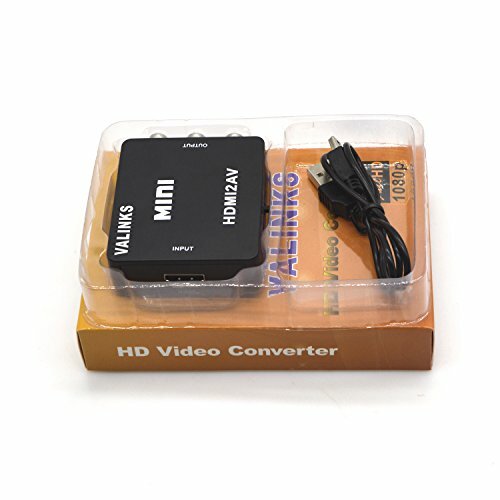 Important conferencing systems,can be used for display platform:After converted the HD HDMI signal of the HD camera by the converter, then through the acquisition card to a computer system to facilitate remote meetings transmission.